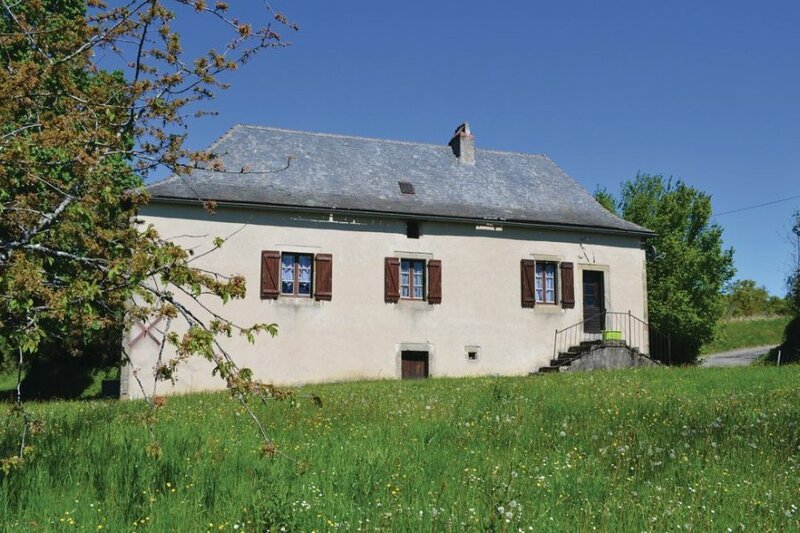 This traditional, old farmhouse has a rustic charm and is an ideal holiday house for exploring the renown pilgrim centre of Rocamadour (32km) and its tourist attractions including La Forêt de Singes (Monkey forest) and Rocher des Aigle ( Eagle Park). In Gramat (22km) there is an animal park and you are invited to visit the sheep and lambs on the owner's farm nearby. Stroll around the Saturday morning market in Figeac (16km), spend a day on the beach of Lac du Tolerme (20Km), explore the numerous hiking routes of the area or sit and enjoy the magnificent view. No heating system in the house. This villa is made from wood and brick and was originally built in 1902 and refurbished in 1990. The agent has rated it as a two star property so it is a plainly furnished villa with limited facilities. It is ideal for a cheap holiday. The villaIt is located in Le Bouyssou, only 8km from Lacapelle Marival. It is set in a good location: there is a restaurant 8km away. You can also park in the garage on-site at no extra charge. The villa is adequately equipped: it has a washing machine. It also has a barbecue and some garden furniture outside.